It’s time to get more music on the go in India. 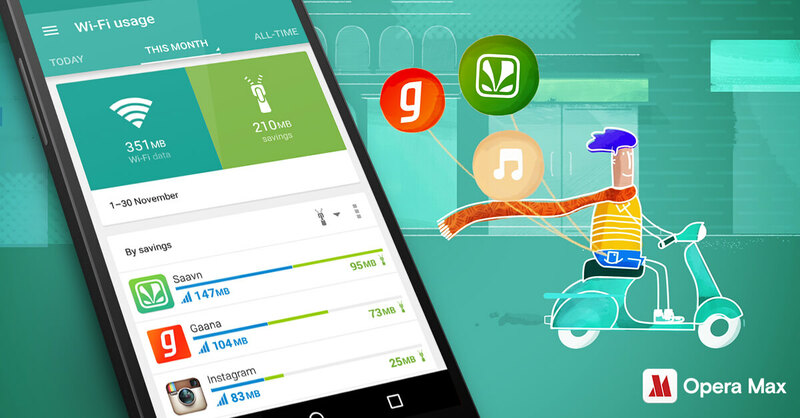 Our free Android app, Opera Max, now compresses data from music apps like Gaana and Saavn. It’s the first app in the world that can optimize your streaming videos and music. Opera Max already shrinks data up to 50% across most apps on Android – from text to images to videos to audio. Now, you can save while streaming, too. Reduced data usage can help save money on your phone bills. 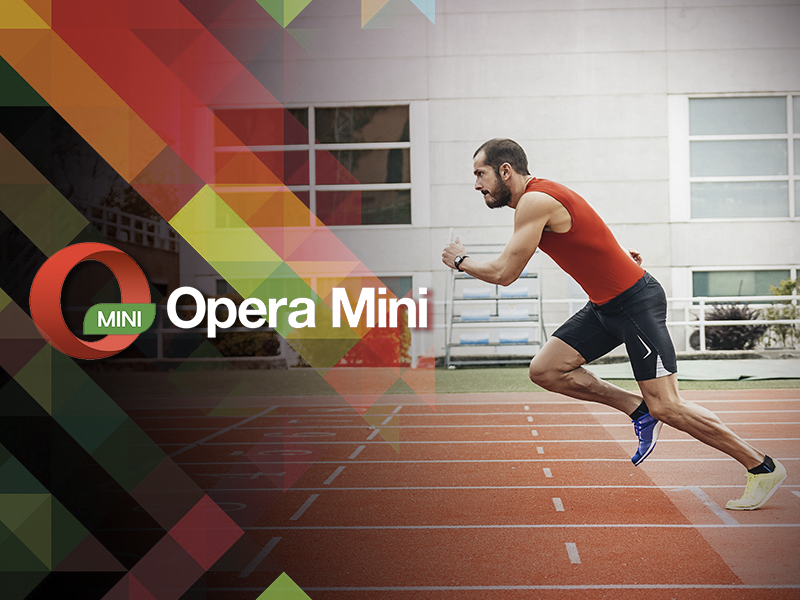 If you don’t have it yet, you can download Opera Max for free from Google Play. 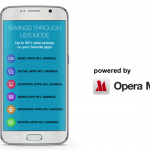 Opera Max also saves your data on music apps like Pandora, Slacker Radio and YouTube Music, to name a few. But, this is just the start as we will be bringing even more data savings to more apps over the next few months. 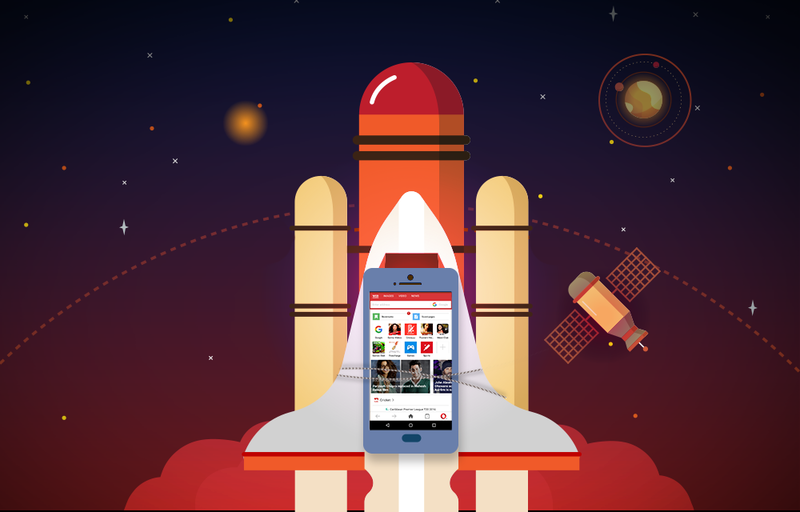 Just getting started with Opera Max and Gaana or Saavn? Fall Workout Mix on Saavn will pump up your morning exercise. Bollywood Top 50 on Gaana gets the party started anytime, anywhere. International Chartbusters on Gaana radio puts you in the mood to groove. Timeless Ghazals from Saavn will destress and relax you after a long working day. Devotional Classics on Saavn can make your mother happy.